And here I was thinking I had an invitation to lunch at your table – oh well – the travel would have taken its toll anyway. 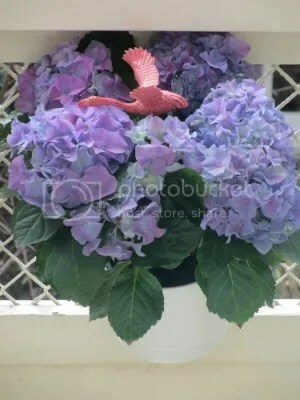 Never mind the Flamingos – what about those gorgeous Hydrangeas??? And what do you mean “never mind the flamingos”?!? 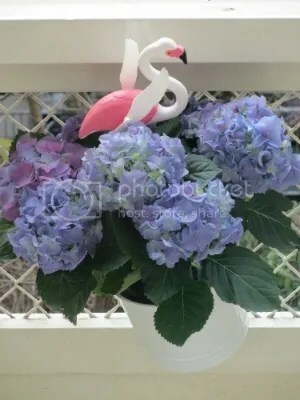 I mean, the hydrangeas are good and all, but they make the flamingos look amazing! 😉 really sets off the colour of the plumage!